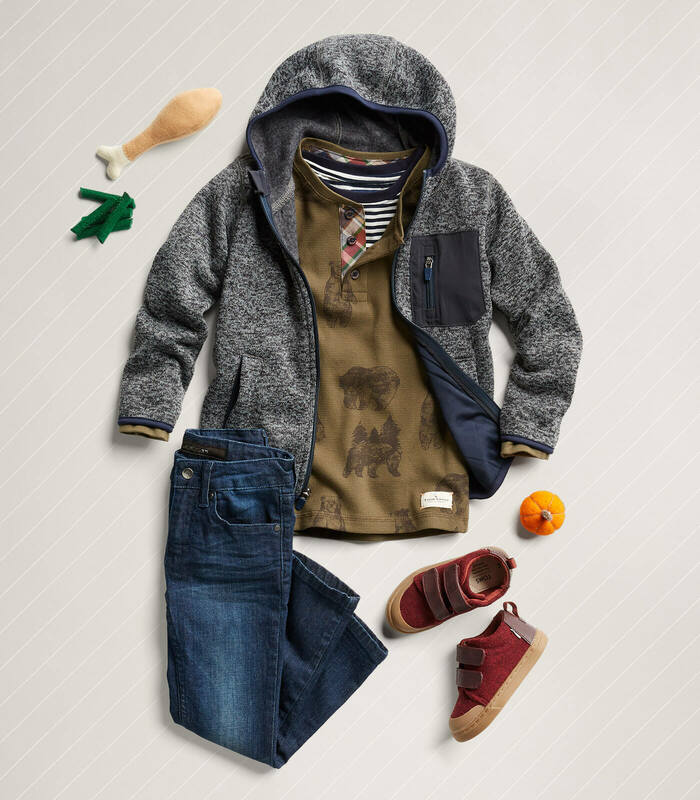 Keep scrolling to see 12 Thanksgiving outfits just for Kids! 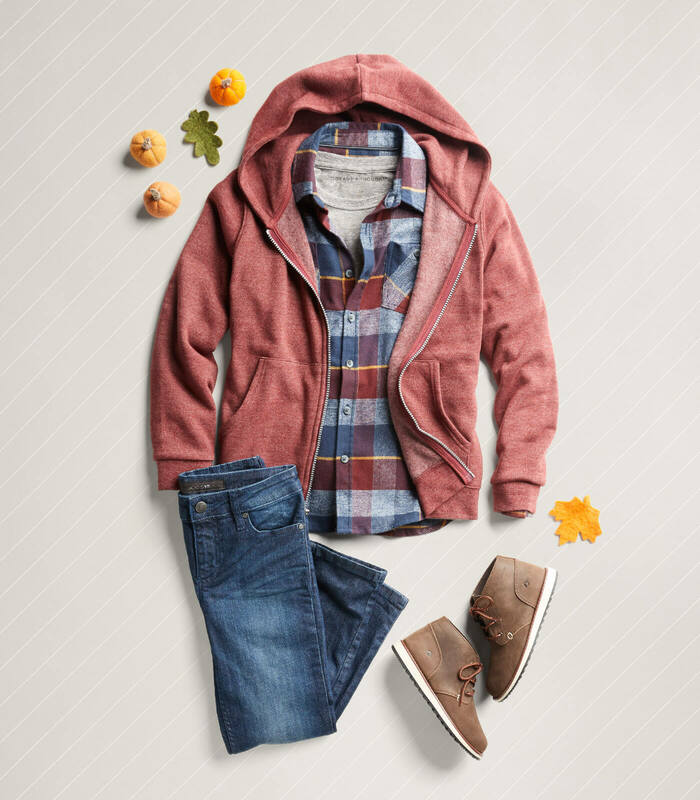 Durable desert boots and comfortable layers have us ready to romp around in a pumpkin patch. Dress to impress in patterned button-ups for Thanksgiving—make sure to leave a little wiggle room for an extra piece of pumpkin pie. Yum! Casual get together with friends for turkey day? 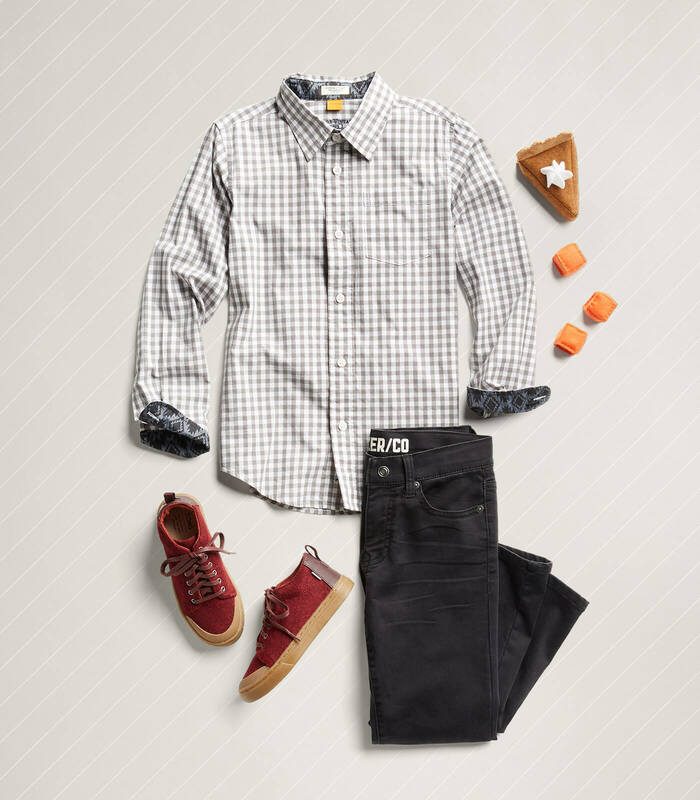 A dark pair of jeans and warm fall colors add festive flair to your fall celebration. 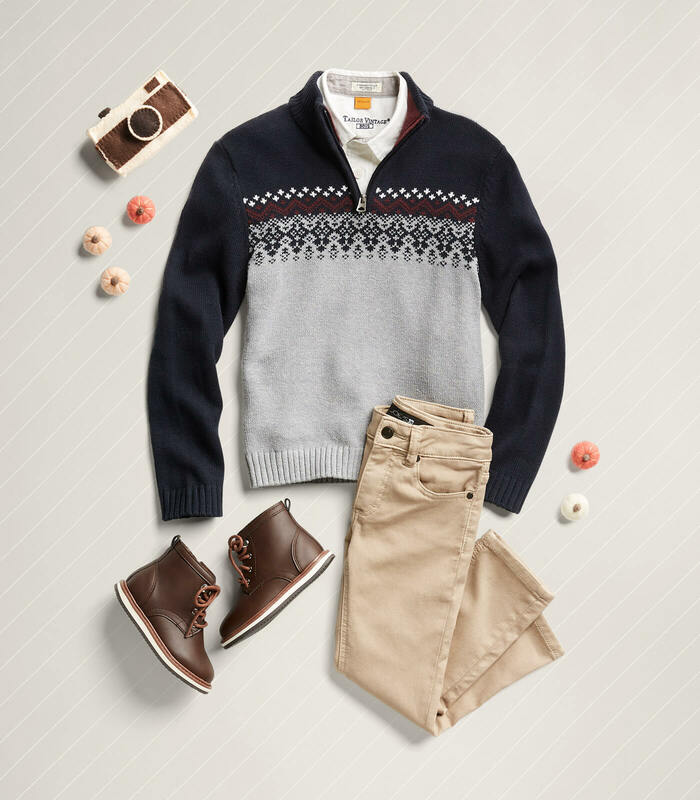 Step up the holiday outfit game with ¾ zips and khakis (with a little stretch for comfort). Make sure to take pics for memories of your dapper dude. Leisure & loungewear! For when they’re gearing up for a fresh fall hike or just need some extra room post-turkey (we’ve been there). Cozy, fuzzy sweaters and camo joggers so cool, you can almost feel the fall air! 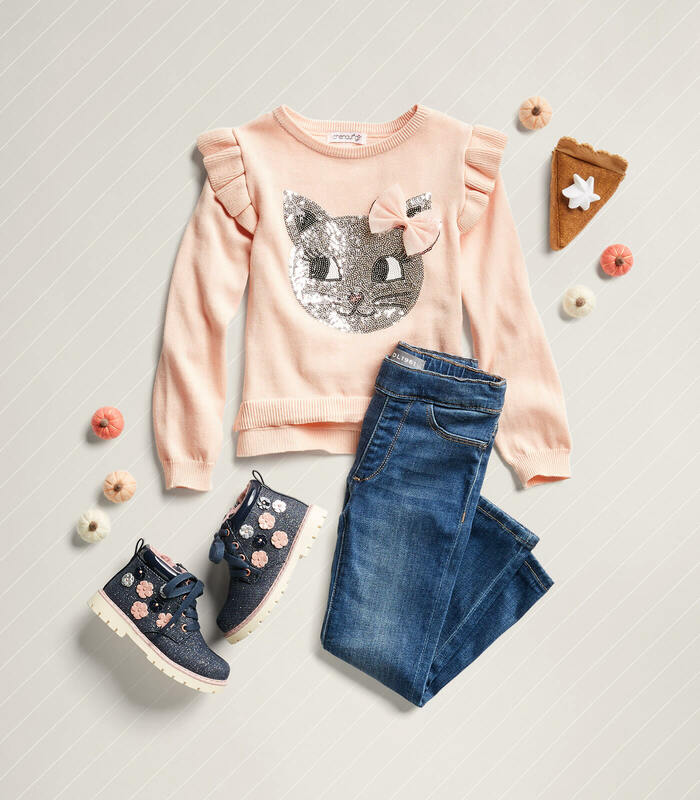 The only thing sweeter than leftover Thanksgiving pie is a sweet, new outfit. Fancy Thanksgiving plans call for more sparkles—as if we needed an excuse! Holiday pics? Bring it on. 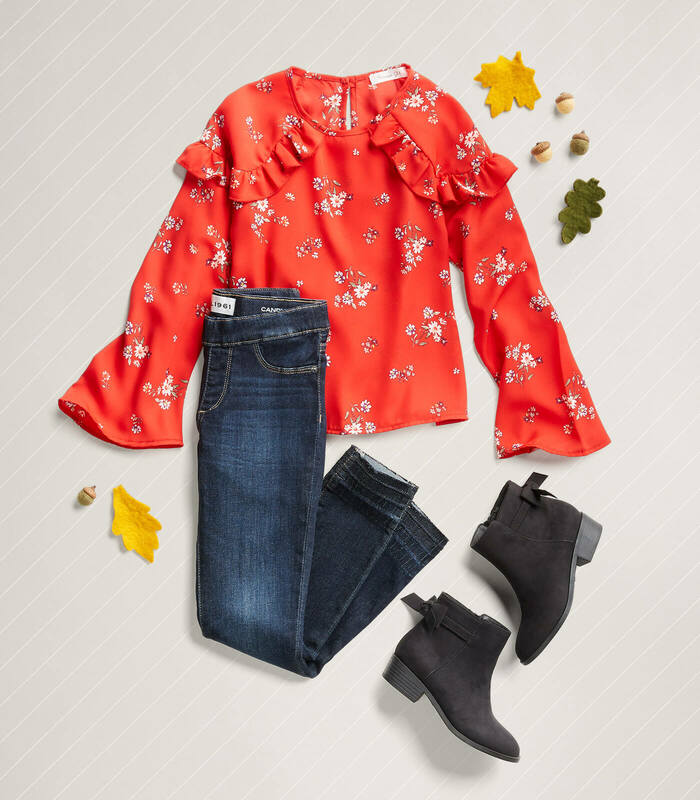 Bright colors with all the bells and whistles, paired with classic jeans and boots are an easy must. Dare to make a statement at Thanksgiving in an edgy (and still so cute) embellished dress and awesome bomber jacket. Fall has us wanting to bundle up. 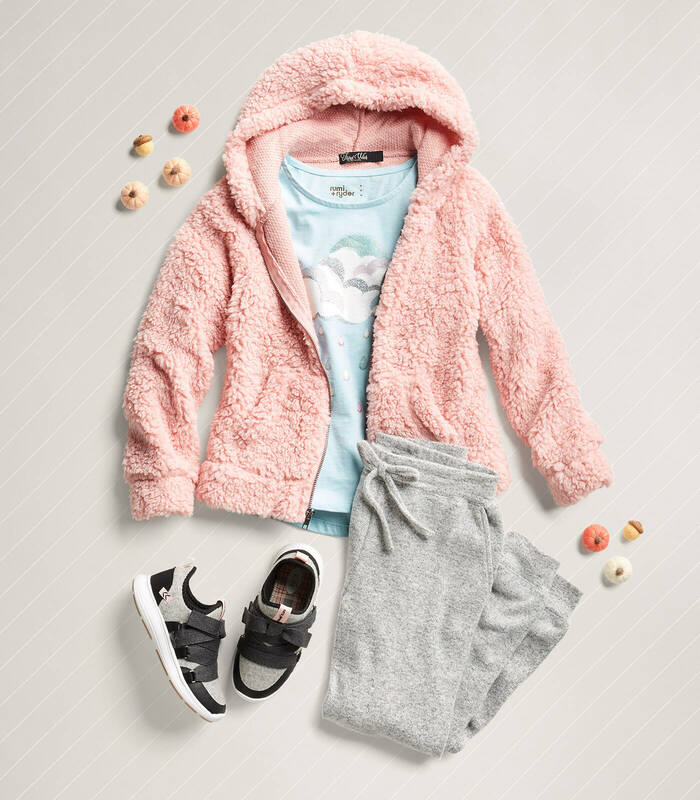 Treat the kiddos to soft pieces so they can enjoy loungin’ with you! 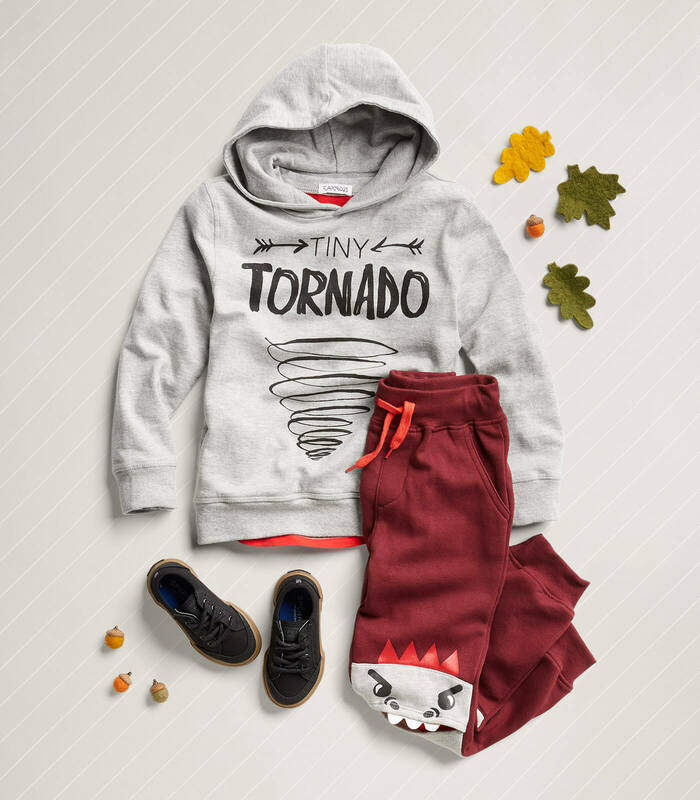 See looks that your Kid might like? 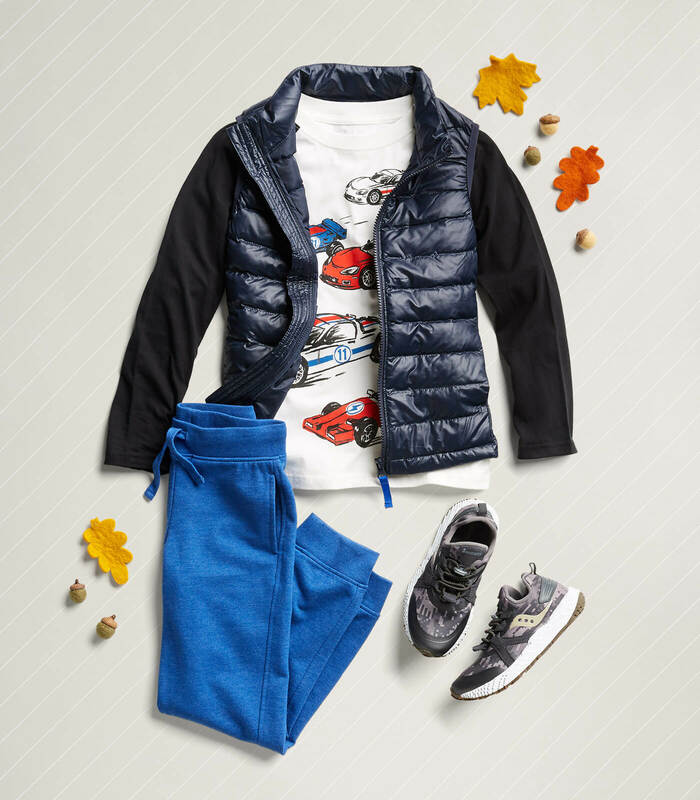 Be sure to schedule a Fix so your kid can be stylin’!